issue guys. The layout has really come together now. The layout has really come together now. El T has really improved with compilation. Compared to the rest, Issue 7 is definitely my favorite, layout wise. Aw, shucks. Thanks, guys. @A3n , I had some help from this one guy a while back who really knows his stuff. Reading something like this created by members makes me proud to belong to this site. Glad to hear! If you want to catch up on the older Codices, we've got them all archived (Including the original Codices from years ago) here. Those old Codices have been really fun to read for me. Alright, I give up. 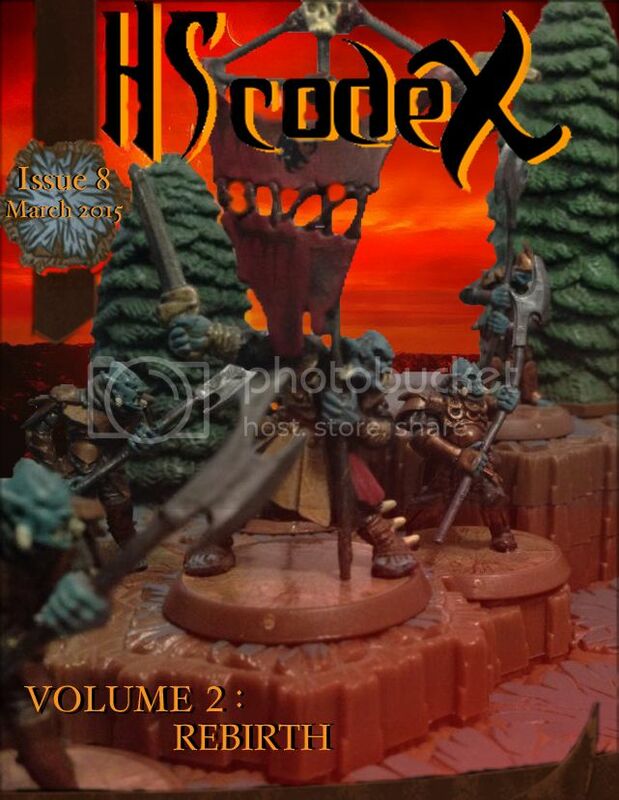 Where can I download Codex #1 of the new series? Edit: Disrgard. This is what I get for quick replying without reading the post right above mine. Edit edit: Oh, yeah, and awesome job guys. Thanks for all the love, 'scapers! At the moment we're up to approximately 185 downloads, some from places like Australia, Jamaica, Denmark, Mexico, and more. It's so cool to see how many people from different places are a part of the Heroscape community. Of course Australia, you guys have always had my love. Right! One of our biggest proponents from the beginning. We have, among other things, an interview with the one and only @IAmBatman , a strategy review for SoV's Zombie Hulk, and the next installment of The Heart of Vengeance. We hope you all enjoy!